I met a German couple, Jana and Arnd, on the bus to Konglor, which was great as we then hung out for a few days. Also met a couple of cool Danish girls who I saw around a bit. 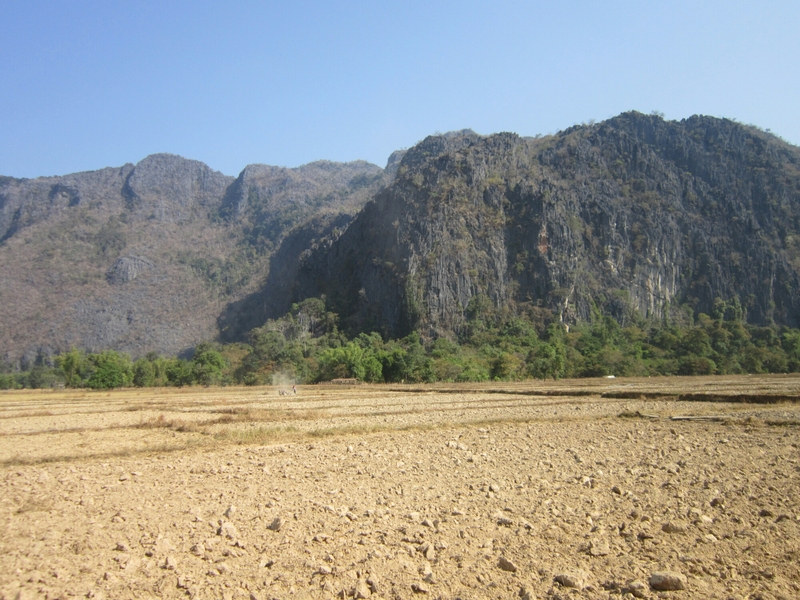 Konglor is really nice, it’s a small village surrounded in rice fields with mountains on all sides, giving it a visually very impressive backdrop! It’s also nice because there’s so few Westerners around, we met a handful of others there, a few doing ‘the loop’, a motorbike trail out of Thahket, and a couple of others including Diallo (Dutch) and Lena (German). The main attraction there is Konglor Cave. 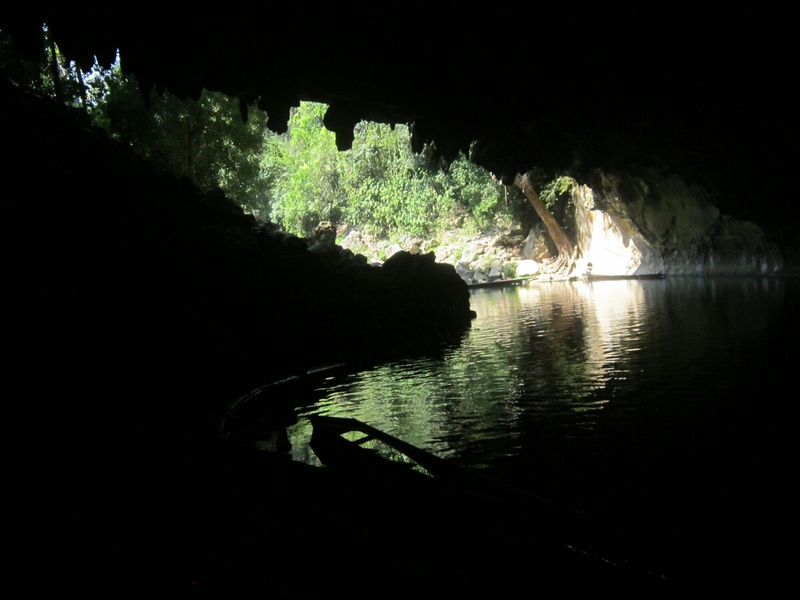 You buy a ticket to be taken by a guide through the cave by boat….a very leaky boat which the guide constantly shovels water out of. It has 3 seats so was perfect for me, Jana and Arnd. You spend a few minutes at the other side and then are brought back. There’s a stop on the way through to see some interesting rock formations in the cave. The cave itself is very cool, very big, very long, very dark (you are provided with a headtorch) and the boatsman has to navigate through lots of narrow rock formations. 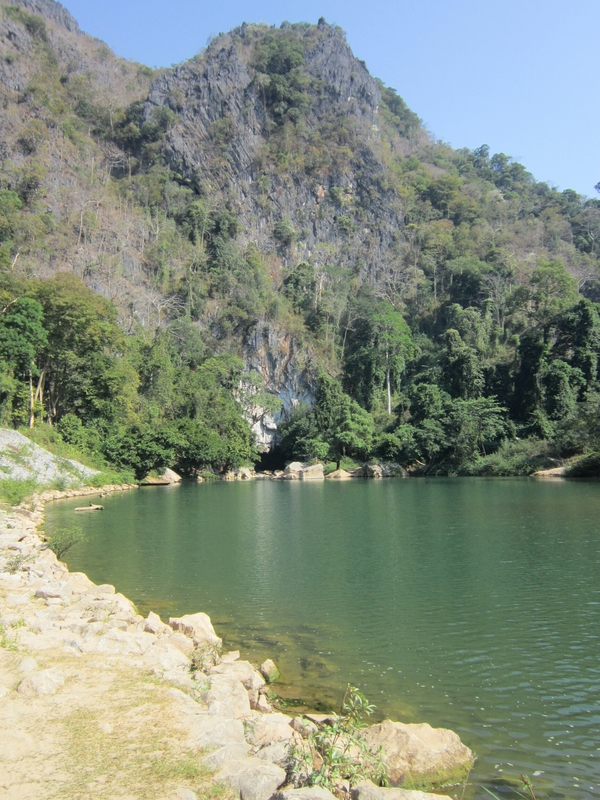 After we’d done the cave we chilled out in the pool at the entrance for awhile, and as I was sitting there I heard a ‘Dave’ being called, turning round to see Emma, Andy and Maya from Vang Vieng/Vientiane! They had stopped at the cave as part of the bike loop. Me and Arnd spent a bit of time exploring along the river near our guesthouse, it was interesting to see the farms along the banks. We also had an amusing conservation (read: hand miming) with a local kid, who after we rejected his request for money in the exchange for photographs started pointing at the Iron Maiden t-shirt I was wearing, which has Eddie flying a fighter plane and other fighters following him (World War 1 era), and start miming flying planes and then pointing at the mountains (in the direction of Vietnam) and making gestures as if shooting a plane down. We also all mimed coughing after a van drove past and kicked up lots of dust. Food wise we ate in the evenings at the guesthouse with the biggest vegetarian menu (Arnd is vege too and Jana mostly is whilst in Asia) and the food was pretty good. Had Laos curry first night, sweet and sour vegetables the second. Oh and Beer Laos to drink of course. So there’s 1 bus out of Konglor, and it’s at 6:30am. We arrived in our destination, Pakse, 3 buses and around 12 hours later. The 3rd bus wasa local bus which we got moved on to by virtue of the drivers taking our bags from one bus to the other and us following. Local bus rides ate pretty intense, everyone packed on, I had to sit on a plastic seat in the middle of the aisle for awhile, fending of kids who wanted to poke/kick me when their mothers weren’t looking. 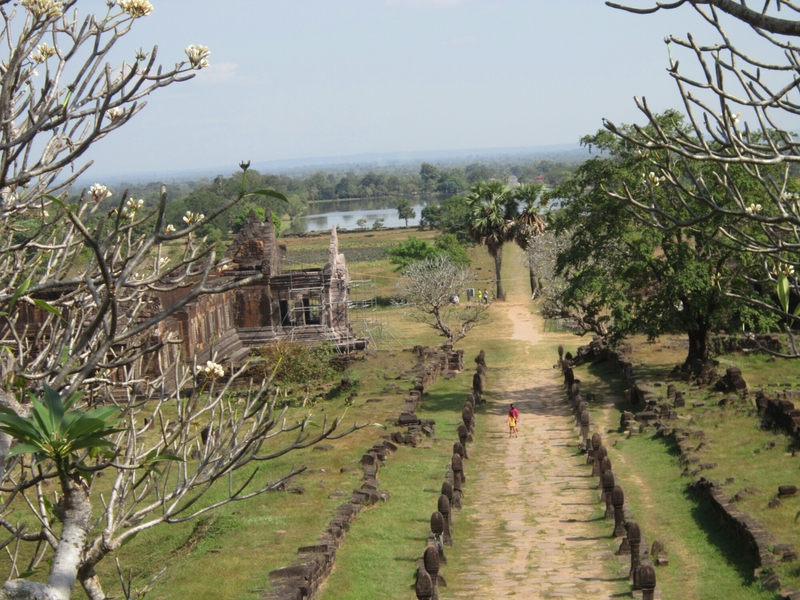 On the plus side Emma, Andy and Maya ended up me on the buses too (they got on at Thakhet) so there was a few of us. Pakse wasn’t great and the hotel me, Jana and Arnd ended up in was a dump. But we did get so me awesome Indian food so not a total loss. Arnd was off to to a treetop explorer (zip lines) so Jana joined me in heading to Champasak. It’s a nice sleepy town, pretty quite and nice to relax eating in the restaurants along side the Mekong, which you have to cross by boat when arriving by bus from Pakse. 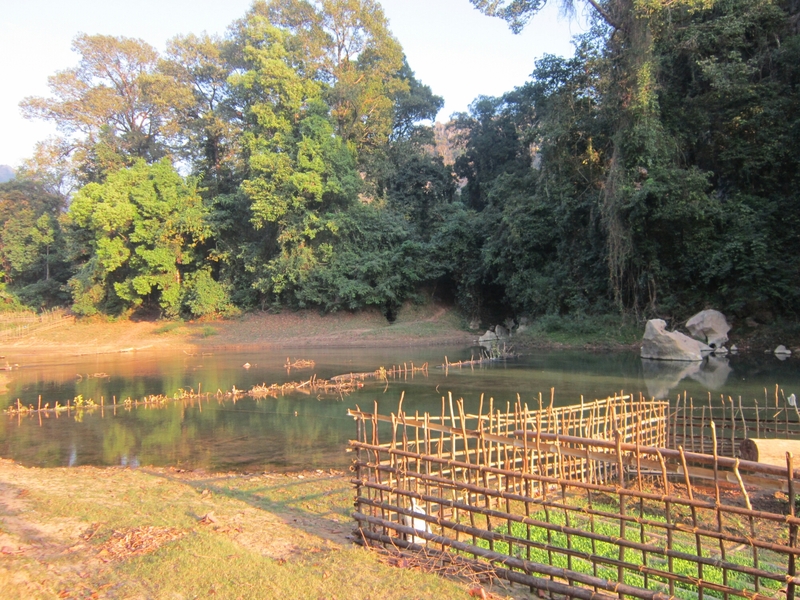 I do love the fact I have had almost as many boat rides in Laos as I have had bus rides! 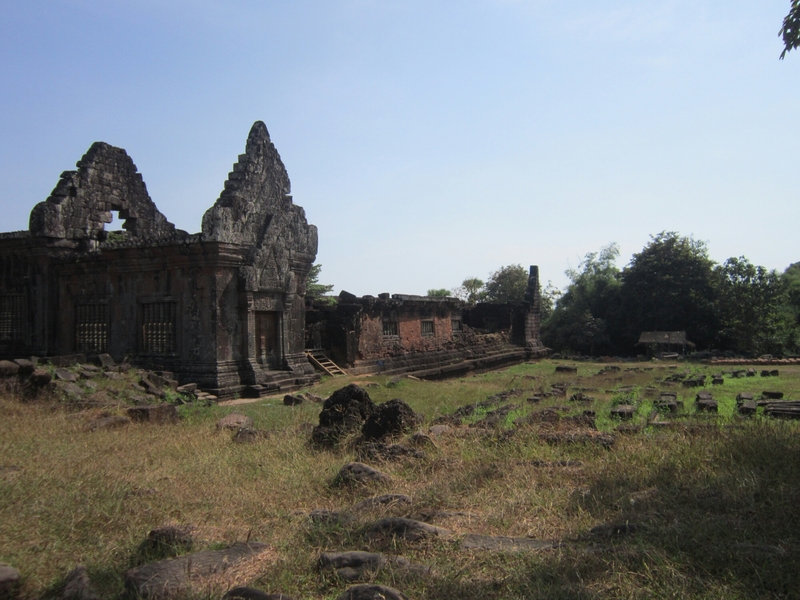 The main attraction is the Khmer ruins at Vat Phou, and they did not disappoint. We shared a tuk tuk there and back with another backpacker, spending the afternoon (bout 3.5 hours) exploring the ruins and small museum. 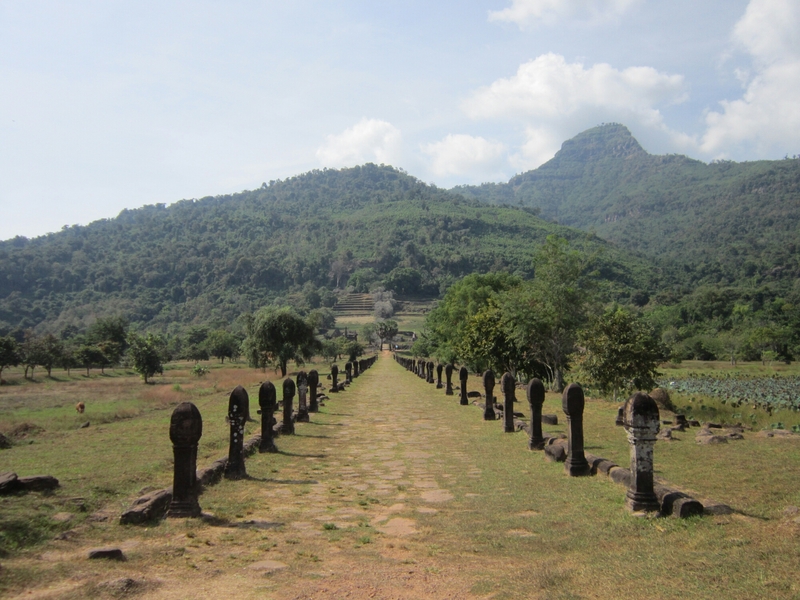 The site is now associated with Buddhism but previously was Hindu, and it’s considered sacred by the local ethnic Laos people. 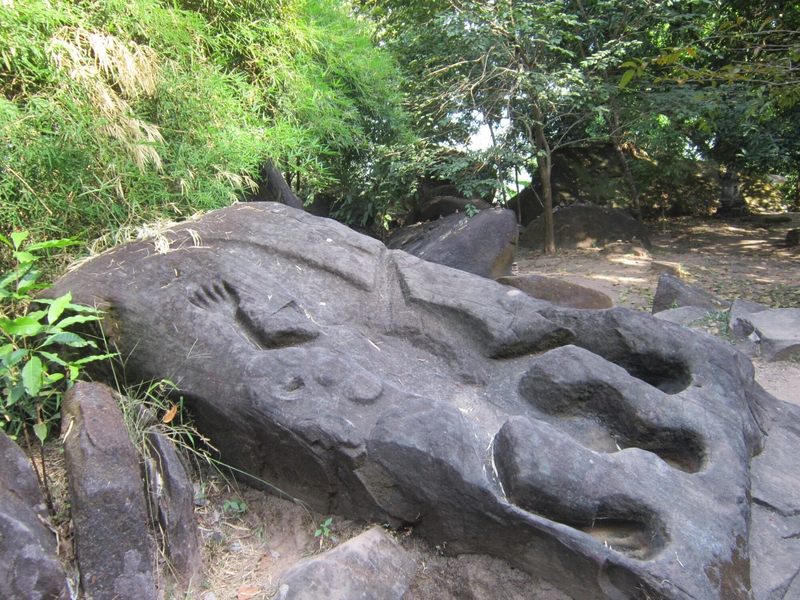 The phallic pillars in the picture above indicate worship of Shiva. You head upwards through the site as it is built on the bottom/side of as mountain. 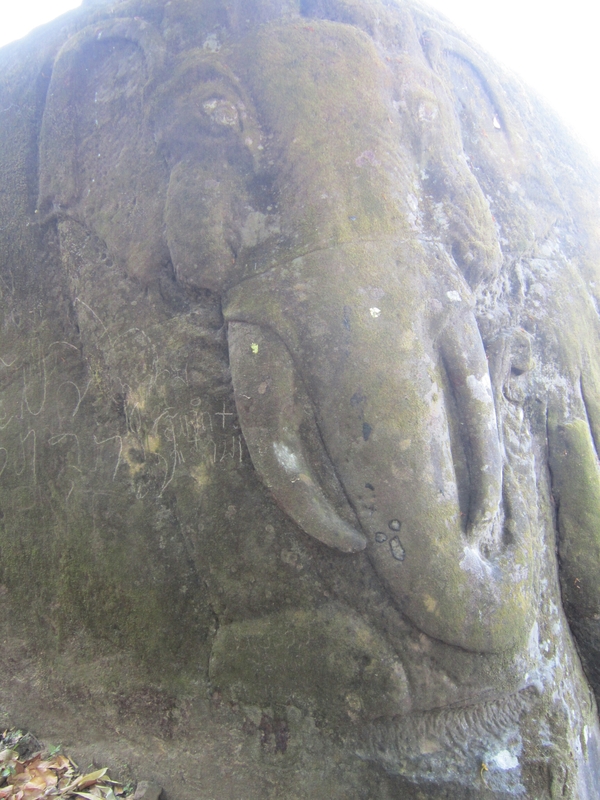 Towards the top of the site is a temple and you can also see a carving of an elephant and another of a crocodile.